The Italian legal system, based upon the Civil Law, is characterised by a very high number of laws and a significant variety of grounds for appeal. It is important to stress that legal proceedings, both civil and criminal, generally last many years. The necessary legal proceedings are time consuming and will therefore have a direct effect on the process of the debt collection. The Firm is involved in litigation, both domestic and international, relating to all its areas of activity. The firm’s practice includes domestic and international arbitration and alternative dispute resolution including credit recovery, especially in the fields of company and IP laws, commercial transactions, labour law, engineering and construction contracts. The Firm has been in charge of both national disputes and complex multi-jurisdictional disputes as well as providing strategic advice on appropriate dispute resolution methods, choice of law, choice of forum and arbitration clauses. Our focus on the practical realities of the business world allows us to understand the effect of litigation on our clients’ operations. We are experienced in litigation risk analysis and regularly counsel our clients on ways to avoid or minimize litigation risks. In recent years of market globalization, relationships among companies and other entities, their shareholders, directors and officers have been rapidly evolving in terms of corporate governance and compliance this resulting in the need to face a number of new forms of corporate wrongdoings and management misconducts in courts or otherwise. We are proud to offer our assistance to effectively enforce such rights or to comply with such obligations hand in hand with the evolvement of this corporate governance and compliance process. Accordingly, our litigation lawyers ensure that inspections, requests for records, meetings, and resolutions are held and undertaken in a manner that will best protect our clients in the event of litigation. Our clients range from individuals and privately-held entities to international companies including trusts and non-for-profit organizations and our approach to litigation is tailored uniquely to the respective business, management and industry challenges faced by each client. Our litigation lawyers are involved in transactions, projects and other business dealings from the outset, mitigating the risk of costly litigation. When litigation arises, we appear before courts at all levels. We act for a variety of shareholders, whether individuals or companies, shareholders, directors and officers in disputes, and regularly act for majority and minority interests and purchasers and targets. Trust and estate litigation requires a special combination of analytical tax, tactics and litigation skills that includes use of probate and trust laws and civil litigation procedures. We have an extensive trust, wills and estate litigation practice by representing beneficiaries in a variety of disputes with trustees, executors, and other beneficiaries. The commercial landscape for patents and other intellectual property rights has changed dramatically over the past years. In many instances, these patents and intellectual property innovations make up the key assets of new companies. Such individuals and companies stand ready to change the balance of power as they begin flexing their intellectual-property strength in an ever-demanding market. Enforcing patent and intellectual property rights and protecting technological innovation can, however, be an extremely expensive proposition in today’s competitive business environment. We offer a proven method of handling cases quickly and efficiently. The firm’s litigation practice covers all aspects of intellectual property, including patent, trademark, trade dress, copyright and trade secret litigation from industrial espionage to breaches of loyalty or contract by employees. We believe that intellectual property litigation requires an in-depth knowledge of the law and complex technical issues. Our litigation lawyers combine the experience of litigators and patent, trademark, and copyright attorneys to represent our clients in protecting their significant assets. We also advise clients in negotiating business solutions to disputes to reach the best business results. Our patent litigation lawyers make available for litigation purposes their range of science and technology backgrounds in a wide areas of industries and technologies as a patent boutique firm. Our lawyers handle with success patent infringement cases in the areas of patent validity, patent infringement, priority of invention, inequitable conduct, damages, patent misuse, antitrust, licensing, marketing, and preliminary and permanent injunctions. Our lawyers work in teams to ensure precise and understandable technical presentation, thorough expert witness preparation and in-depth analysis of IP issues, and enable us to successfully bring intellectual property matters to conclusion. We are also thoroughly experienced in handling trademark, copyright and Internet-related disputes, including formulating strategy, implementing tactics, and presenting cases in courts. The litigation teams work with our clients to provide counseling and advice that fits within each client’s business strategy. Our lawyers represent clients on trademark and copyright enforcement and litigation. This team represents national and multinational corporate clients in litigation and related counseling work on trademark, copyright, and advertising matters. We handle domestic trademark litigation as well as co-ordinating international trademark disputes. Our litigation group represents individuals and businesses ranging from sole proprietorships to companies with an international profile from the initial investigation and trial preparation to settlement negotiations and appeals. We know how to put together and try complex cases. Our adversaries know that when we begin a case, we are prepared to take it to trial and have the experience, skills, judgment, and client commitment to win. Our civil litigation lawyers have substantial experience in complex civil litigation, representing clients before courts and arbitration panels across the country for civil enforcement actions. Our commercial litigation lawyers provide assistance and counsel in complying with and litigating matters pertaining to the legal and regulatory complexities confronting businesses today providing the right business solution for your business challenges. As our economy becomes more service-oriented and more labour-intensive, it becomes ever more critical to manage companies human resources effectively and to respond not only to claims of collective rights, but to claims of individual rights that are augmenting and replacing those collective claims. Our labour litigation lawyers cover the entire spectrum of labour and employment litigation; arbitration; administrative practice before the Labor Agencies under Italian labour law including cross border implications. At Accomply we are fully aware of the complexity of legal challenges which arise from the real estate and construction industry. Our highly specialized litigation practice combines the expertise of our lawyers with backgrounds, experiences and skills that we regularly practically experience in the real estate industry. This approach ensures clients receive cutting edge counsel on the increasingly specialized issues affecting this industry. Our construction and real estate litigation lawyers work in teams to resolve client issues in accordance with their goals. Team members have developed the knowledge and experience to handle issues ranging from everyday mechanics liens and landlord/tenant problems to more sophisticated real estate and construction contract claims, land use and zoning disputes. Knowing the time sensitivity of most project development, we focus first on resolving disputes and solving problems. In fact, because of our depth, resources and approach, one cooperating team of lawyers can address the legal aspects of project development from land acquisition, design, development and construction issues to contract negotiation, claims advice, litigation, bankruptcy and issues in between. Failure by a company to meet its obligations may result in bankruptcy proceedings. We assist our clients in relation to Bankruptcy Law’ by addressing and evaluation pre-liquidation, rehabilitation, or moratorium procedures aimed, providing certain conditions are met, at avoiding bankruptcy. Our specialized team of lawyers has represented clients in various industries and understands the financial issues that are faced and how to employ successful strategies for their resolution. Our firm acts as legal counsel to relevant matter-players such as liquidators and receivers. Debt collection in Italy requires a title which enables the creditor to commence execution of proceedings including a payment injunction issued by the Court which orders the debt to be paid, in addition to interest as well as part of the legal expenses. Our clients benefit from the team’s extensive experience representing commercial creditors, debtors and third parties in all aspects of debt collection. In doing so, we work closely with each of our clients to understand their business, their legal issues and their financial challenges, and assist them in developing and implementing an effective strategy to accomplish these objectives. The 2003 reform of the Italian Civil Code (ICC) amended comprehensively dispute resolution mechanisms for corporate disputes. This procedure is chaired by a private or public entity registered with the Ministry of Justice. It does not prevent the parties having recourse to ordinary courts. Should the court believe the relevant bylaws to be broken, it may suspend the trial and fix a term for filing the conciliation request. 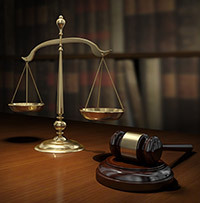 We assist with Special Judiciary Proceeding, ordinary and summary, for corporate disputes within the ordinary judicial procedure. We assist clients resolve difficult business challenges in the forum that is best suited to the client’s strategic interests. Our litigators are skilled advocates in arbitration, mediation and a full compliment of other Alternative Dispute Resolution. Our lawyers are familiar with the rules and procedures of national and international arbitral institutions, such as the International Chamber of Commerce.